Proceeds to be used to fund urgently needed research projects at universities and foremost medical institutions throughout the United States. 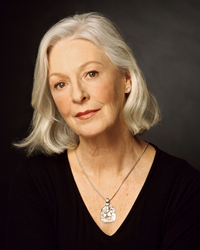 Four-time Oscar nominee and two-time Emmy Award winner Jane Alexander has had Lyme three times. The funds raised during the Gala allow us to help fund urgently needed medical research projects. Lyme Research Alliance (LRA), the nation’s largest nonprofit funder of university-level research into Lyme and other tick-borne diseases, is hosting its signature annual Gala this weekend in Greenwich, CT, to help raise funds for Lyme disease research. The “Time for Lyme” Gala will be held Saturday at the Hyatt Regency Greenwich. Attendees will include four-time Oscar nominee and two-time Emmy Award winner Jane Alexander, baseball manager Bobby Valentine, and TV host Gretchen Carlson, who will serve as Mistress of Ceremonies. Actor Peter Sarsgaard (“Blue Jasmine,” “The Killing”) has written a special message to be delivered at the event. The evening’s honorees include Elena Delle Donne, the 6’5” Chicago Sky forward-guard and the Women’s National Basketball Association's reigning Rookie of the Year. Delle Donne will receive the organization’s StarLight Award for her tenacity in battling Lyme disease and her ongoing efforts to raise awareness of Lyme. Moreover, two distinguished Lyme disease researchers—Kim Lewis, Ph.D., of Northeastern University and Ying Zhang, M.D., Ph.D., of Johns Hopkins Bloomberg School of Public Health—will each receive the Lauren F. Brooks Hope Award for their progress researching “persister” cells that manage to survive antibiotic assault. The black-tie optional event has also become known for its spirited auction to help “Fund a Cure.” This year the silent auction is also online—for those who can not attend the event—at http://ibidmobile.net/lyme/auction. Honorary Event Chairs Sarsgaard, baseball Hall of Famer Tom Seaver, Bravo’s Andy Cohen, Valentine, Alexander and other community philanthropists have all contributed an excellent selection of items, including lunch with Sarsgaard, wine from Seaver’s Napa Valley vineyard, tickets to Cohen’s “Watch What Happens Live” show, and a lot more. Even StarLight honoree Delle Donne has provided a live auction item to benefit LRA’s funding efforts—four tickets to the NY Liberty vs. the Chicago Sky home game at Madison Square Garden, plus an unforgettable opportunity for a 9-16-year old to be the visiting-team ball kid at the game. The Gala will be held this Saturday, April 5, from 6:30 p.m. to midnight at the Hyatt Regency Greenwich in Old Greenwich, CT. It features dinner, dancing and a live auction. Tickets for the event can still be purchased by email at lymeresearchalliance.org or by calling 203-969-1333. Lyme Research Alliance, formerly Time for Lyme, is a Connecticut-based national non-profit that funds cutting-edge research into Lyme and other tick-borne diseases. For more information, go to http://www.LymeResearchAlliance.org.